When we are in a conversation with another person, what are most of us generally doing while they are talking? If we were honest, we would have to admit that we’re usually thinking of how we will respond. There are very few of us who are fully engaged and deeply listening to the other person’s message. The people we lead want to know that we care about them as individuals. They want to know that they matter. They want to know that we are listening to them. That means listening intently. That means being fully present with what they are saying. That means getting behind their eyes and trying to see the world from their perspective. 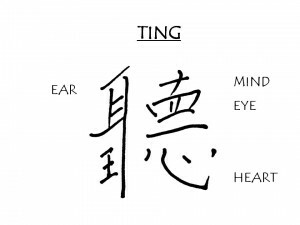 The Chinese character for listen, “TING,” captures this spirit of listening. The upper left part of the symbol stands for ear. We use our ear to hear the words the speaker is saying. The lower left hand part of the symbol is for “king” or “dominant one,” indicating that hearing the words through our ear is the most important part of the listening process. In the upper right hand part of the symbol, we see mind. Our minds help us understand the words the speaker is saying and the message they contain. Below that is eye. Our eyes allow us to see any nonverbal messages the speaker might be sending. In the bottom right hand side is heart, and above that, the almost horizontal line translates to “one” or “to become of one.” This tells us that if we listen in this way, with our ears, mind, eyes, and heart, we can become of one heart. I don’t know about you, but this is not the way I was brought up to listen. I’m from New York. Where I grew up, people listen and talk at the same time. So, if you began a sentence, ugg outlet aurora albertville moncler sale hat 2 and I was excited by what you said, I’d jump right into the middle of your sentence with my addition or response. And, you’d feel free to do the same. We’d both be talking and listening and interrupting all at the same time. I did not learn to listen with TING until much later in my life. 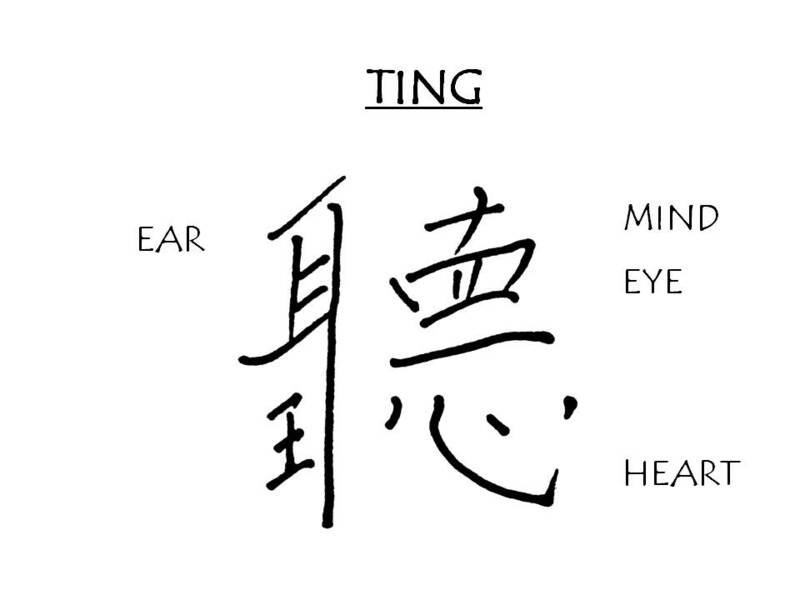 Listening with TING enables us to have a much higher quality of conversation and communication. We are engaged in what the other person is telling us. We are deeply listening for their meaning. We bring our hearts, minds, ears, and eyes into the exchange. And we get a much better result. 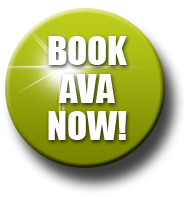 Love “TING” Ava. Thanks for introducing me to it. What I like most about it is the “become of one heart” part of it. I think more people practiced this, we’d have a world full of wonderful listeners, which would also (most likely) result in more sincere & heartfelt conversations.